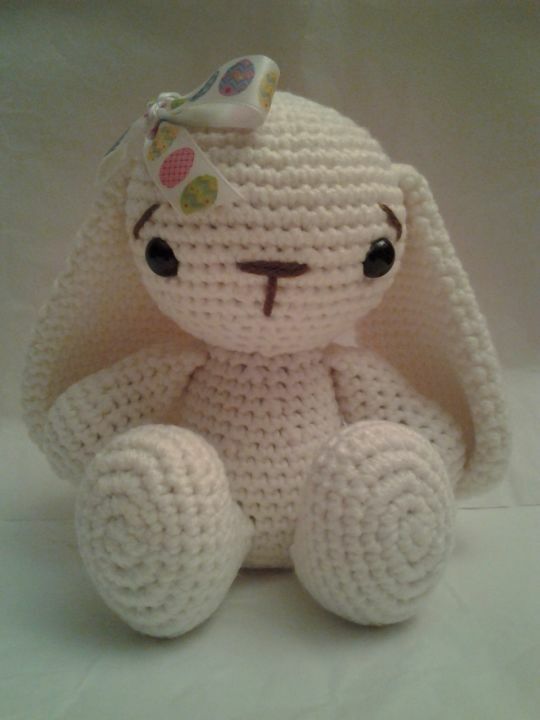 Meet HOPE the Bunny Rabbit. She is 6 1/4 inches sitting. Isn’t Hope just so precious? Comes with a satin bow with decorated Easter eggs sewed on to the top of her ear. Looks like a perfect little princess. She has safety eyes.